Tall buildings, however interesting or practical, can be seen as a threat to aviation when it comes to safety. Why? The reason is due to the height and location of these buildings. For this reason, authorities have passed an international regulation that such tall buildings have to be visible and significantly noticeable through aircraft warning lights. 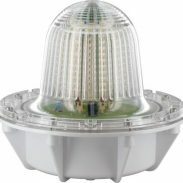 These lighting devices are needed in order to increase a building’s visibility especially at the darkest hours of the day. What is an Aircraft Warning Light? Lighting devices particularly installed to tall buildings for this purpose are known as aircraft warning lights. Aside from visibility, these warning lights for aircraft are used as a preventive measure for unexpected collisions. Furthermore, besides that, these lighting devices are obviously needed predominantly at night, but are also required by buildings during the daytime. An effective aircraft warning light must be capable of producing a significant level of brightness needed to be visible even for people far from the building. Moreover, it must also be visible in a 360 view. These things must be monitored to determine if a warning light is suitable for your building and guarantee its absolute security and full visibility. Also known as Obstruction Warning Lights, these warning devices are also composed of several light intensities, colours, and shapes so you can choose according to your preference and needs. 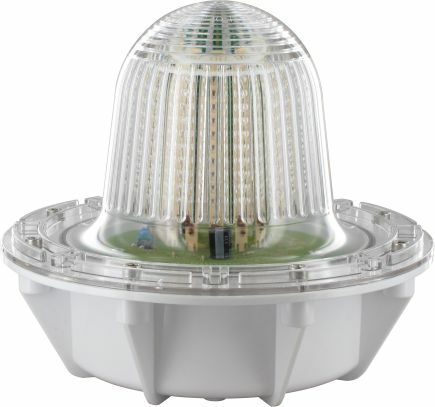 Prior to installation, it might help to know that government organisations such as ICAO and FAA regulate the strict design, usage, and installation of these high-intensity lighting devices. This type offers exceptional visibility for tall buildings during either day or night. This type of Aircraft Warning Light is particularly utilised to identify the presence of an establishment or object and can only be attached to a building with over 150 m height. This type of Aircraft Warning Light is commonly in the form of a white strobe light. Moreover, many warning light manufacturers today are producing this type of lighting device based on LED technology to replace the need of xenon. As a result, a Medium Intensity Aircraft warning light is cost-efficient, durable, and known to be usable for a long span of time. A building has to be lesser than a height of 45m to be allowed to utilise this type of Aircraft Warning Light. Low-Intensity Aircraft Warning Lights are also known to produce a fixed-red light which is particularly a steady burning, static beacon. Furthermore, this kind of lighting device is only limited to night use. The installation and use of these high-intensity warning signals has to be followed and executed carefully in order to create a greater intensity of safety and security, for the building as well as aircraft.